I've read the 'Liturgies and Events' guide book produced by the Bishops Conference and it is thoroughly depressing. There is RISEtheatre!, there is the Larondina Dance Group, More than Dance, the Zywiec Folk Song and Dance Group, the Doherty Academy (not to be confused with Pete Doherty's band) and Brooks Academy. Look all these guys up for a full round up of what we have in store at Hyde Park. "This One Goes Out to All You Oratorians Out There"
In reality we should not be surprised. When the World judges it seldom does so in the light of God's unfathomable mercy. More rarely, does it wish to walk a mile in the shoes of another before casting judgement. More rarely still, does it have the humility to acknowledge its own sins as grievous faults which, too, deserve Divine retribution. God's justice is so much sweeter than earthly justice for He is full of tender pity and compassion. The World cannot comprehend His love and, of course, the pity and love of God's friends on Earth.There is no greater gift on earth than the gift of Faith. With confirmation that Susan Boyle will be headlining at the Petrine Festival in Glasgow, sponsored by Peter's, purveryors of pies, pasties and savoury slices to the Faithful, details of the line-up for the Hyde Park Festival in London are yet to be confirmed. According to my sources, Pete Doherty and Carl Barat of newly reformed rockers,The Libertines, were mute when asked to headline for Hyde Park, fearing a backlash reacton from fans. The Bishops of England and Wales also thought that their style of chaotic, electric guitar-led music would be, according to one source, "inappropriate." Sporting red vestments, a lacy alb and a red hard-hat, the Deacon and Martyr, St Lawrence, patron of miners (I didn't know that) has been brought in to aid and protect the 33 Chilean miners trapped 2,300 feet below ground in sweltering heat. 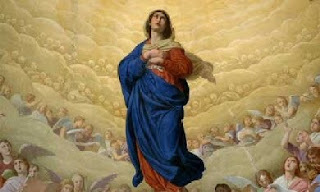 In Catholic countries, when there is an emergency or a disaster, people quickly call upon help from the Court of Heaven. In Protestant or largely atheistic countries, like ours, people just say, "Oh, how awful. Poor people...Makes you thankful for Margaret Thatcher. Stick the kettle on will you, love." 'The miners' families have held vigil at "Camp Hope" for three weeks, at first praying that their fathers, husbands, brothers and sons would be found alive. Their prayers were answered August 22, with the delivery of a note strapped to a drill bit that emerged from the bowels of the Earth carrying a simple red-ink message: "All 33 of us are well and in the shelter". 'Doctors with religious beliefs are less likely to take decisions which could hasten the death of those who are terminally ill, a study suggests. The survey of nearly 4,000 doctors found those with a strong faith were also less likely to discuss end-of-life treatment options with their patient. The London University research urges greater acknowledgement of how beliefs influence care. Doctors and campaigners described the findings as "concerning". Dr Clive Seale of Barts and the London School of Medicine analysed 3,733 responses from doctors practising in a wide variety of fields, with a particular focus on those who worked in palliative care and with the elderly. 'She will perform as part of the Pontiff's open air celebration of Mass in Glasgow's Bellahouston Park on September 16. The 49-year-old, from Blackburn in West Lothian, is expected to perform three songs, including her smash hit I Dreamed A Dream, which catapulted her to fame on Britain's Got Talent. I Dream a Dream? Is that the Communion Hymn? The other two songs are yet unknown but let us just hope and pray that they are not Shine, Jesus, Shine and Colours of Day or, well, anything else from Les Miserables or any other naff musical. I see from Fr Ray Blake'sblog, via Rorate Caeli that Bishop Richard Williamson of the 'I want to break free' faction, the Society of St Piux X (SSPX), has been airing his thoughts aloud on his personal blog, to which one apparently has to subscribe in order to view! 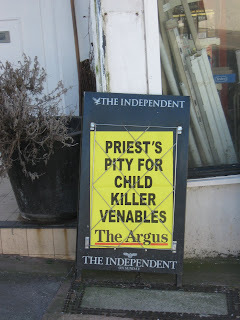 How very typical of Williamson's brand of Catholicism! 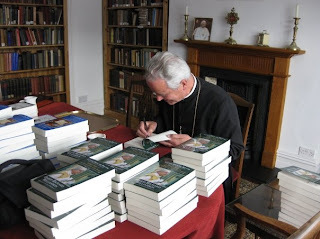 What hits home is the high-handedness with which he writes and his shocking arrogance, as if, somehow, the person with which the SSPX is dealing is the area manager of Waitrose in a customer care complaint, rather than the Successor of St Peter who holds the Keys to the Kingdom of Heaven. Really and truly, in all honesty, the true position of the SSPX towards the Holy See should be as that of beggars, since by embracing schism they have placed not only their immortal souls but those of all who followed them in jeopardy. I'm sure that's somewhere in the Catecheism. I found this lovely little book in the Sacristry yesterday and flicked through it. Okay, I 'borrowed' it. 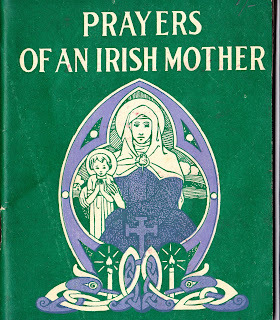 I must say it is really a very beautiful prayer book and a heartfelt collection of traditional Catholic prayers, poems and consoling petitions, compiled by Mary Teresa Dolan, the eternal rest of whose soul readers are requested at the beginning to pray. It sounds far fetched, doesn't it? According to The Guardian, however, Americans are becoming more unsettled on Obama's self-declared 'Christianity'. Anyway, for those of you who, like me, like to sound cleverer than they are and who do not actually know the mythology behind the whole Trojan Horse idea, here it is from Wikipedia, the site that helps stupid people to sound intelligent. It is the year 595. Pope St Gregory the Great sits upon the Chair of Peter and spies from afar England and the British Isles and sees, in this country, rich and fertile land for the Gospel of Our Lord Jesus Christ. The scene is set. He calls to him Augustine, a Benedictine monk who would later become St Augustine of Canterbury, to be the 'Apostle to the English' with some of his brothers. He orders them to take the Gospel to the English, to be bold and to enlighten the hearts of a nation still in the dark grip of barbarism, pagan practises and an inordinate love for both football and celebrity, while producing only a saddeningly mediocre calibre of both. Catholic is the quarterly newspaper published under the patronage of Our Mother of Perpetual Succour by the Desert Will Flower Press, organ of the Sons of the Most Holy Redeemer. It is produced and distributed by the Fathers and Brothers of this missionary congregation from its Motherhouse on the island of Papa Stronsay in Orkney, Scotland. 'Oh the bomb scare! That was quite an experience. There was no panic as the officials evacuated all the sections bit by bit. The outdoor Mass for the French pilgrimage, with 30,000 present according to the local Lourdes paper, had just finished and we were all making our way to different places. So it was when Judas threw back the silver at the high priests in the temple saying, "I have betrayed innocent blood." Does Mr Blair really think that a sports centre is going to help these people? Let Mr Blair be an example for everyone that power corrupts the soul and that money deceives it into thinking that it is safe. The Pope is a follower of Jesus Christ and although he is coming to the UK as a Head of State (The Holy See – the Vatican), the primary purpose of his visit is to share the Good News that God loves us unconditionally and is merciful. It’s this reality – of God’s love and mercy – that is his primary message and is one that lies at the heart of the Catholic Faith. 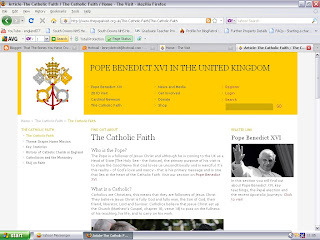 Visit our section on Pope Benedict XVI. How exciting...just imagine making a pilgrimmage that doesn't end up with a folk-guitar Mass! 'The Latin Mass Society is organising a Walking Pilgrimage from Ely to Walsingham from Friday 20 August to Sunday 22 August. There is a noble tradition of walking pilgrimages to Walsingham which the LMS wishes to revive. The pilgrimage is inspired by the great Paris to Chartres Traditional annual walking pilgrimage which attracts thousands of young participants. The LMS pilgrims will leave Ely on Friday 20 August after a 7.00 am blessing in Ely Cathedral. Accommodation will be in tents. There will be daily Mass in the Traditional Latin Rite concluding with a Traditional Mass in the Chapel of Reconciliation at Walsingham at 2.30 pm on Sunday 22 August. This will be open to all. Loyal to Liberty is the blog of the excellent Dr Alan Keyes, and I post his anaylsis of the decision below. 'I always find it repugnant when Barack Obama pretends to articulate and apply America’s moral values. As products of Saul Alinsky’s finishing school for Marxist protégés, Obama and his crew have no respect for the self-evident truths in which those values originate. It’s not that they have no use for them. On the contrary, they refer to them only when they are useful for ideological warfare.